Amazingly true predictions for Capricorn, with decan-wise annual trends. 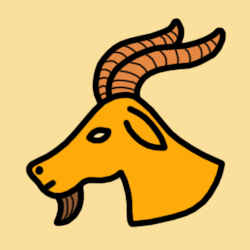 2019 Horoscope for Capricorn reveals a fortunate year for your 'inner world', that expands and grows your spirituality, charity, compassion, and private life, with a sense that you are not truly living or experiencing your life to the fullest. This can be a period to sort your attitudes and behaviours that may restrict your future growth. Your Capricorn horoscope for 2019 also streamlines your personality, personal mannerism, image, appearance, and how you project yourself to others, with tests and challenges that strengthen the foundation in these areas. During this cycle, you are likely to be more cautious than you usually are, even pessimistic, and feel that you are on your own. This influence is most potent for mid Capricorn (born around Jan 1 - Jan 10). Our yearly horoscopes are divided into 3 distinct Capricorn decans. To know more about the Decans of Capricorn, click here. If you find this confusing, please read only the 1st Decan for all Capricorn 2019 horoscope predictions. Jupiter this year continues to enhance and develop your spirituality, charity, compassion, and private life, with a sense that you are not truly living or experiencing your life to the fullest - until 2nd December 2019. From then onwards, Jupiter expands and grows your personality, body image, attitude, outlook, finance, and independence, with a panoramic vision of life that opens your eyes to whole new possibilities - for the rest of the year. Uranus this year continues to rapidly change your domestic set-up and dealings on the home front, while you rebel to broaden your horizons - until 6th March 2019. From then onwards, Uranus revolutionizes your creativity and romantic connections, while you have stronger ability to hold the attention of an audience - for the rest of the year. Eclipses bring drama and change, either in the physical world or inside your head. During January 2019, Solar Eclipse on 6th January marks a new beginning or revised approach towards your personal life, the manner in which you come across to others, and the way you assert yourself; and Lunar Eclipse on 21st January brings into light surprises or disclosures surrounding intimate matters, shared finances and resources. During July 2019, Solar Eclipse on 2nd July marks a new beginning or revised approach towards dealing with others, or someone significant to lean on or to rely upon; and Lunar Eclipse on 16th July brings into light surprises or disclosures surrounding your personal plans and your personal presence. Finally, Solar Eclipse on 26th December marks a new beginning or revised approach towards your personal life, the manner in which you come across to others, and the way you assert yourself. Amid the eclipses, the North Node continues to bring joy and opportunities through your significant other, and a real need and desire to partner effectively - throughout the year. Particularly around the eclipses during January and July, you can be greatly benefited depending upon how you transform and evolve by balancing the influences of the eclipses and the North Node. Jupiter this year expands and grows your spirituality, charity, compassion, and private life, with a sense that you are not truly living or experiencing your life to the fullest. This can be a period to sort your attitudes and behaviours that may restrict your future growth - throughout the year. Uranus this year revolutionizes your domestic set-up and dealings on the home front, while you rebel to broaden your horizons. During this lengthy cycle, changes may be quite dramatic or erratic, and you are likely to take some risks or innovate in these areas - throughout the year. Eclipses bring drama and change, either in the physical world or inside your head. During January 2019, Solar Eclipse on 6th January marks a new beginning or revised approach towards your personal life, the manner in which you come across to others, and the way you assert yourself; and Lunar Eclipse on 21st January brings into light surprises or disclosures surrounding your partnerships and relationships. During July 2019, Solar Eclipse on 2nd July marks a new beginning or revised approach towards dealing with others, or someone significant to lean on or to rely upon; and Lunar Eclipse on 16th July brings into light surprises or disclosures surrounding your personal plans and your personal presence. Finally, Solar Eclipse on 26th December marks a new beginning or revised approach towards the ways you handle your inner world, and the manner in which you handle guilt. Amid the eclipses, the North Node continues to bring joy and opportunities through your significant other, and a real need and desire to partner effectively - until 28th November 2019, after which the North Node brings joy and opportunities through your daily routines, and a real need to get your life and lifestyle organized - for the rest of the year. Particularly around the eclipses during January and July, you can be greatly benefited depending upon how you transform and evolve by balancing the influences of the eclipses and the North Node. Jupiter this year continues to enhance and develop your friendships, group associations, hopes, and accomplishments, with a feeling of confidence about the future and your ability to set plans in motion - until 14th February 2019. From then onwards, Jupiter advances your spirituality, charity, compassion, and private life - until 6th June 2019. Jupiter amplifies your friendships, group associations, hopes, and accomplishments - from 6th June 2019 to 13th October 2019. From then onwards, Jupiter expands and grows your spirituality, charity, compassion, and private life, with a sense that you are not truly living or experiencing your life to the fullest - for the rest of the year. Saturn this year continues to inspect your spirituality, inner world, private life, compassion, vulnerabilities, and psychology, with tests and challenges that strengthen the foundation in these areas - until 4th April 2019. From then onwards, Saturn reviews your personality, personal mannerism, image, appearance, and how you project yourself to others - until 25th May 2019. 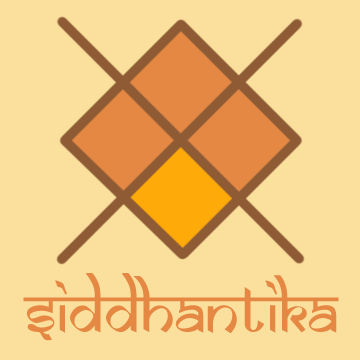 Saturn finalizes your spirituality, inner world, private life, compassion, vulnerabilities, and psychology from 25th May 2019 to 19th December 2019. From then onwards, Saturn streamlines your personality, personal mannerism, image, appearance, and how you project yourself to others, with tests and challenges that strengthen the foundation in these areas - for the rest of the year. Eclipses bring drama and change, either in the physical world or inside your head. During January 2019, Solar Eclipse on 6th January marks a new beginning or revised approach towards the ways you handle your inner world, and the manner in which you handle guilt; and Lunar Eclipse on 21st January brings into light surprises or disclosures surrounding your partnerships and relationships. During July 2019, Solar Eclipse on 2nd July marks a new beginning or revised approach towards your work, daily activities, or health routines; and Lunar Eclipse on 16th July brings into light surprises or disclosures surrounding your personal plans and your personal presence. Finally, Solar Eclipse on 26th December marks a new beginning or revised approach towards the ways you handle your inner world, and the manner in which you handle guilt. Amid the eclipses, the North Node continues to bring joy and opportunities through your significant other, and a real need and desire to partner effectively - until 24th May 2019, after which the North Node brings joy and opportunities through your daily routines, and a real need to get your life and lifestyle organized - for the rest of the year. Particularly around the eclipses during January and July, you can be greatly benefited depending upon how you transform and evolve by balancing the influences of the eclipses and the North Node. This is an overview of what the planets have in store for you in 2019, dear Capricornians. Astrology never compels, but you can use your free will to tweak the energies of the planets to your advantage.